October 3-10, 2016: Three very different gigs and some historic visiting! We arrived in Stockholm on Monday, October 3. On Tuesday, Lauren and I took the subway across town to find Izzy Young at Folklore Centrum. Folks were friendly and pointed us in the right direction to find Wallmar Yx Kullsgatan 2bv. When we arrived, I looked through the big, glass, street-level store window, and there was Izzy – now in his late 80s, but very much the same as ever. I had not seen him in 46 years! I had called to let Izzy know that we would be dropping by that afternoon, and he was eagerly expecting us. So began four days of hanging out, reminiscing, and catching up with Izzy and meeting many folks who regularly visited his shop. We also got to visit with Izzy’s daughter Philomene Grandin, who was so kind and helpful in so many ways, and her husband, Lars Demian: a great fellow and a fine Swedish roots/rock musician. The Folklore Centrum is a bright store full of many, many books, posters/art and cds. The large open space in the center of the store is perfect for small gatherings and events. On Thursday, October 6, I presented a guitar workshop at the store, and on Friday the 7th I performed a concert there. The last time I had performed for Izzy was a concert I did for him in 1970 in NYC! Izzy was in attendance for both of my events at his Stockholm store and he made sure that I knew that he thoroughly enjoyed them. The audience, too, was appreciative and very responsive. Remarkably, most of the folks we met in Sweden are fluent in English – as their 2nd or 3rd language! The audience all laughed at my jokes and seemed to enjoy and understand the lyrics of our songs. It was a very informal event, and I really enjoyed it. Lauren and I spent a fair amount of time hanging out at the store that week. I had brought prints of a number of photos of the New York Folklore Center, and we talked a lot about those and the old days. We also heard many tales of Izzy’s times and experiences during the years of the folk scene in NYC in the 1950s and 60s and what moving to Sweden had meant for him. He also shared his opinions on the folk music scene in Sweden. Izzy always seemed surprised when I mentioned what a huge affect he had on me and so many others back in the 60s. But because of his efforts as a presenter, I got to see and hear so many of the great and iconic traditional musicians of that era. And, because of his willingness to present young performers, I was able to begin my career and musical journey in the 60s as a singer/songwriter in concert at the Folklore Center in NYC. When we first arrived in Stockholm, Izzy was exited to share with me that the New York Times was sending a reporter over to interview him the following week. The fact that in the early 1960’s he had helped a young Bob Dylan, who was just starting out, and had presented Dylan’s very first concert, had not been forgotten by the press, but it seemed to surprise Izzy a little that folks still remembered that. Then, not more than three days after we left Stockholm, it was announced that Bob Dylan had won a Nobel prize! Philomene informed me that things got very exiting around there that week! We said our goodbyes and thank yous to Izzy on Saturday morning, October 8, and then trekked across town to Gamla Stan, the oldest part of the very old city of Stockholm, to the Engelen Pub for my appearance at Brian Kramer’s International Blues Jam. (We, of course, stopped by the renowned Hellstone Music store on the way so I could check out a few guitars!) Brian, a friend and fan of Izzy’s, had invited me to be his special guest for this show and jam with the band. And jam we did to a lively crowd! Brian is a cordial host and he and his band are fine players and play sweet American rootsy blues. I led several tunes, including, “M&O Blues,” “Trouble in Mind,” my own “Same Ol’ Blues” from Room for Roots, and some low-down mando blues backed up by the band. I jammed a bit on some of their numbers, too. I had a blast and was made to feel very welcome by Brian, the band, and the audience. 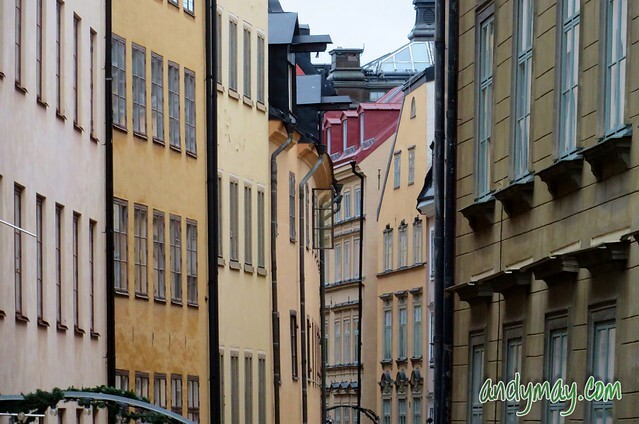 After the jam, Lauren and I wandered around Gamla Stan a bit. It was fascinating and lovely! With my Stockholm commitments out of the way, I was free to do a bit of sightseeing the next day. Lauren and I took a ferry to the island of Vaxholm in the Stockholm Archipelago. We passed dozens of islands, some as tiny as a rock jutting out of the water, on the way. The tourist season was past, and the island was very quiet and peaceful – and quite beautiful. We explored a bit, then caught a bus back to the city – though we had come by ferry, we discovered that a road also runs from island to island for a ways out into the archipelago. We laughed at ourselves a little, then hopped aboard: We wanted to get back in plenty of time get ready to head out the next day for the last stop on the tour- Ireland. 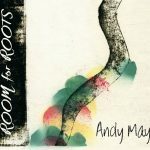 We had made no plans for this last leg of our Room for Roots journey and wondered just what would unfold. Lauren took advantage of the time I was prepping for shows to wander around Stockholm and take a bunch of pictures. She’s shared them – and some of my shows, etc. – on Flickr. You can scroll through them right on this page or go to Flickr to see them in all their glory.